Samsung Electronics is the driving force behind the technology securing the way we shop, the way we communicate, even the way we travel to different countries. The company is fully committed to growing the smart card industry through its integrated circuits (IC) that are present in a number of vital items we use every day. And as a leading player in the space, Samsung is already working with major organizations to help them to better protect consumers. Take SIM cards, electronic IDs, e-passports and credit cards. One thing they all have in common is the fact that they all use smart card ICs. Samsung has been an important part of the movement to this ubiquity of the technology as the industry switches from older, less secure solutions such as magnetic strip cards. 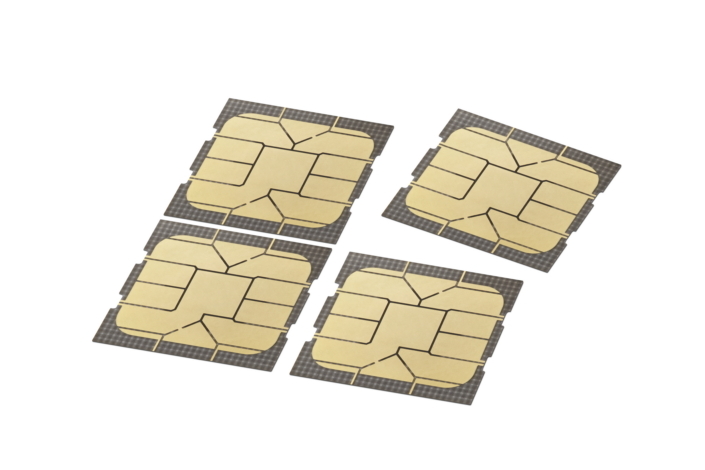 For example, Samsung has led the SIM card market since 2006. And in 2013, Samsung was the first in the industry to be accredited with a CC EAL7 smart card IC, the highest level of security certification. The company will continue to expand here and elsewhere in the smart card IC market in the future thanks to the value-added solutions it is incorporating into its products, such as embedded Secure Element (eSE) or embedded flash. The Samsung S3FT9MF smart card IC supports both ISO7816 contact and ISO14443 contactless interfaces, and is CC EAL6+ (Common Criteria Evaluation Assurance Level) certified, providing strong security countermeasures against various security threats such as template attacks, power attacks and reverse engineering. Strong security and durability are of utmost importance when it comes to smart card ICs that hold extremely personal and private information. With a high level of security and a fast yet durable embedded flash solution with up to 500,000 write/erase cycles, Samsung’s smart card IC will continuously keep users’ personal information safe and sound in various forms of smart cards. Samsung’s most recent smart card IC, S3FT9MF, is the solution for payment cards issued by financial institutions, such as Swiss banks, and has been expanding the smart card IC business to government IDs and other payment applications. The S3FT9MF is steadily being adopted as the main IC by several clients recently including a European tier-1 card manufacturer. Also, electronic IDs equipped with Samsung’s S3FTM9F are expected to become available in the first half of 2018. Traditional magnetic strip cards have been the de-facto solution for ID and payment cards since the 1960’s but concerns rose as the static information on the strips could easily be cloned. Smart card ICs have recently become an alternative solution with their stronger security attributes, as well as the versatility of the technology. Such benefits of the smart card ICs have driven the transition to EMV (Europay, Mastercard, Visa; the global standard for payment cards with smart card ICs) cards in developed countries as well as the expanding adoption of e-passports and government-issued IDs. In the government ID sector alone, market estimates show an average of seven-percent in annual growth in quantity for smart card ICs from 2015 through 2022. * And as the market grows, Samsung is ready to expand.